Basically today we have seen almost every website needs you to register yourself before you can post or take part in any discussions to the website. But it become a tedious task to register and login to many different sites. Solution is to provide the users the option to Login with existing Google / Facebook account as almost everyone have Facebook and Google account.. 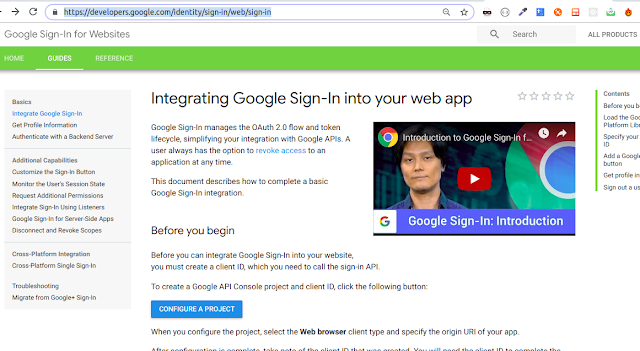 In this post, I am going to explain how to integrate the Google Login / Sign in for your website. For this, First you need to create your Client ID, Client Secret and your developer API key. Click on the button Create Project. A new window will open up. Please select Create Project / or select already created Project. It will then ask for about type of Project. Please select Web-browser. Then it will ask for url of page on which login button will appear. Enter the url. Once, you do this, you will get the credentials. Download the credentials file(credentials.json) file. You can simply pass the information you get in java-script function to the Backend. If you like the Post, please share on facebook and google. ORCAM - Blind can read too.!!! If you like the post, please leave the comment. If i got good response, then very soon i will be do a post on "Login with Facebook" and others..
@sujeet : please check again.. I have checked and its working fine.. If you any issue, let me know. I cannot download the source code. Can please provide another download link? 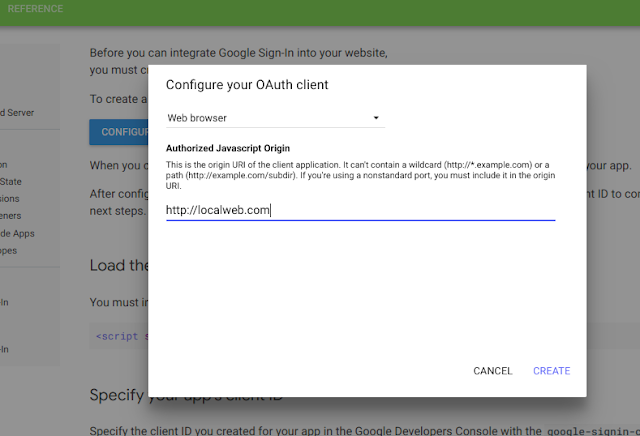 Are you using the latest Google+ Sign in Api as mentioned in https://developers.google.com/+/api/auth-migration ? It's just WORKED, amazing, 1000 thanks. I don't understand why/how google are writing their samples codes. It should be like this ! Please clear your browser cache and then try. I checked it just now, its working fine.. Your tutorial is awesome however "download source code" link is not working... please help !!! Fabulous blog on Web innovation.Have expanded more information related to webpage progression. Thank overseer for this brilliant substance. Share on Google Plus Now a Days, we are hearing a lot about MongoDB. So, in this post I will try to briefly introduce to MongoDB. MonGoDB is "Non-Relational, JSON, Document Store". Non-Relational, --> The DB we use most like SQl, Oracle are Relational DBs(RDBMS). They do have the fixed schemas, lots of tables. So Non-relational in nothing like that. and "lorem" and "ipsum" are corresponding values. So, MongoDB is the Non Relational database which stores information using DOCUMENT and that document is a JSON document. MongoDB stores collections of documents. first of all to use node "net" module , we need to import it in out script. This will import the net module. Now moving ahead, we need to create a server. This is done by createServer function(on simply Server function). createServer has a callback whenever a client connects to a server.